With features like odour absorption, air dryer, nightlight and the smartphone app we offer the smartest comfort: Personal comfort. We´ve taken care of your personal comfort. Take total control of your cleansing routine in three different ways. You can use the smartphone app, which lets you programme your own user profile effortlessly, reach for the intuitive remote, or use the simple control panel at the side of the seat. What could be more simple? 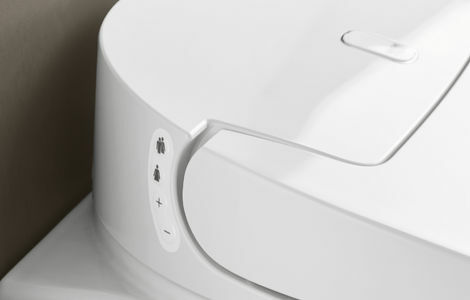 These three control systems make the GROHE SPALET into a toilet that knows you, that remembers you and that anticipates your needs – now that’s smart. Select and store all your preferred settings to your smart phone with the SPALET app. The app lets you create individual user profiles so your ideal spray pattern, pressure and temperature are memorized, meaning you can enjoy your perfect personalised cleansing experience effortlessly, every time. Works with IOS and Android phones. 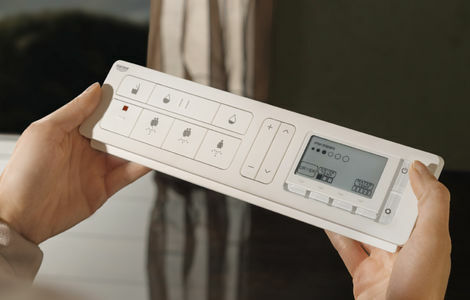 Control every function of the SPALET with the intuitive remote control, which can be wall-mounted within arm’s reach. It makes controlling the SPALET simple – just select your preferred spray, pressure and water temperature from the easy-to-follow menu. Within comfortable arm’s reach, the side of the SPALET has a simple control panel that lets you alter the spray function and adjust the water pressure of your cleaning experience with just a touch. 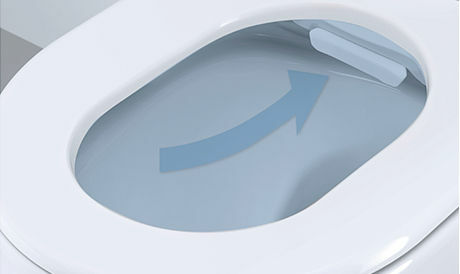 The toilet’s sensor detects your presence, automatically opening the lid as you approach. Never worry about bathroom odours! 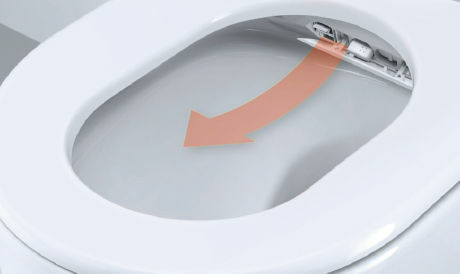 Two vents keep any smells at bay – an airshield around the bowl surface seals the air inside the toilet, keeping odours in the bowl, while the other draws odours away completely through a charcoal filter. The GROHE Sensia® SPALET is there to look after your every need from start to finish. That’s why we’ve included a soft nightlight to guide your way at night that comes on when the lid opens automatically. After a warm-water shower, the warm-air dryer provides fast and gentle drying. As soon as you sit down on the seat, odour extraction is activated automatically. 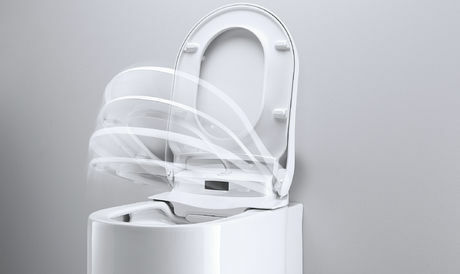 The airshield avoids any smells to leave the toilets seat. The shower toilet is lit by a soft light in the dark to help you find your way. 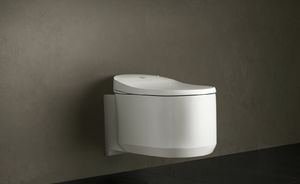 When approaching the WC , a sensor recognises your presence and the lid and seat open and close automatically. Both seat and lid have a gentle and quiet soft-closing mechanism. 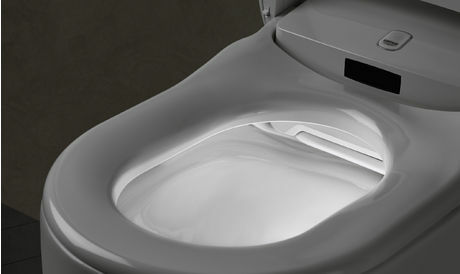 Basic functions can also be controlled directly on the seat at your convenience. You can define different user profiles and save them. Control your shower toilet and save your personal settings to your user profile for extra convenience via the GROHE Sensia® Arena app. Available for IOS or Android smartphone systems.